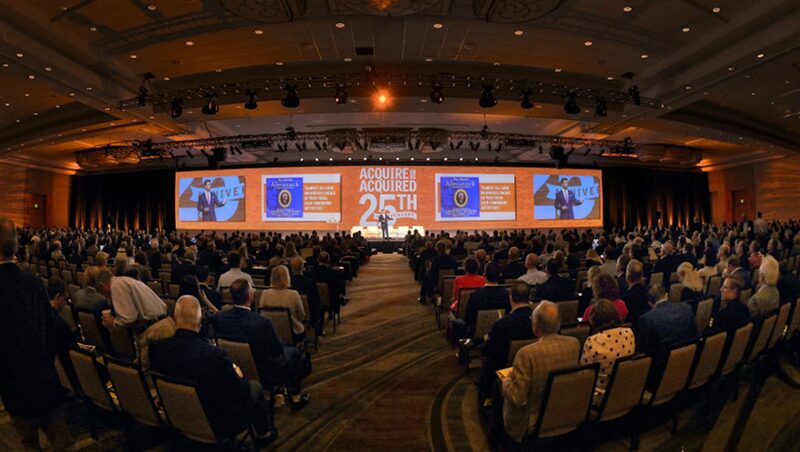 Widely regarded as the premier event for a bank’s CEO, board of directors and executive team, the Acquire or Be Acquired Conference brings together a hugely influential audience. For Bank Director’s 25th annual running of this great program, we focus on merger opportunities, acquisition trends and financial growth strategies. In addition, we explore lending, deposit gathering and culture-building tactics. We talk regulation, economic conditions and leadership concepts as well. If you are interested in following the conference conversations via our social channels, I invite you to follow me on Twitter via @AlDominick, the host company, @BankDirector and our @Fin_X_Tech platform. Search & follow #AOBA19 to see what is being shared with (and by) the 1,309 attendees joining us too.